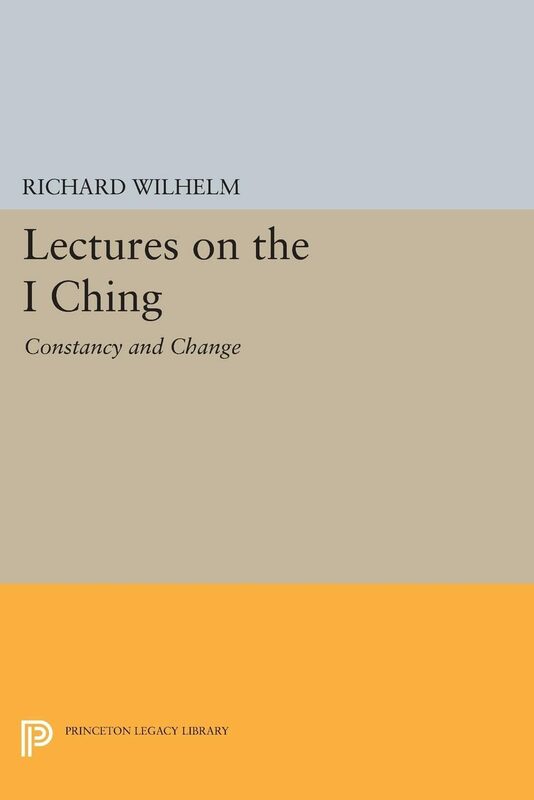 Wilhelm frequently wrote and lectured on the Book of Changes, supplying guidelines to its ideas and ways of thinking. Collected here are four lectures he gave between 1926 and 1929. The lectures are significant not only for what they reveal about Chinese tradition and culture, but also for their reflections of the scholarly and cultural milieu prevalent in Germany during that time.Originally published in 1979.The Princeton Legacy Library uses the latest print-on-demand technology to again make available previously out-of-print books from the distinguished backlist of Princeton University Press. These paperback editions preserve the original texts of these important books while presenting them in durable paperback editions. The goal of the Princeton Legacy Library is to vastly increase access to the rich scholarly heritage found in the thousands of books published by Princeton University Press since its founding in 1905. Otros ebooks de RICHARD WILHELM.